Intracranial dural arteriovenous fistula is an abnormal connection between an artery and a vein that has an increased risk of bleeding. This case report presents a 53-year-old man diagnosed with a dural arteriovenous malformation fistula in occipital topography, lacking therapeutic indication because of an extension. He was admitted to an intensive care unit due to a high-risk pulmonary thromboembolism with indication for thrombolysis. Taking into account the hemorrhagic risk associated with arteriovenous malformation, the authors discuss the therapeutic options and the inherent risks. Konstantinides SV, Torbicki A, Agnelli G, Danchin N, Fitzmaurice D, Galié N et al. 2014 ESC Guidelines on the diagnosis and management of acute pulmonary embolism. Eur Heart J 2014;35:3033–3080. Martin C, Sobolewski K, Bridgeman P, Boutsikaris D. Systemic thrombolysis for pulmonary embolism: a review. Pharm Ther 2016;41:770–775. Smithburger PL, Campbell S, Kane-Gill SL. Alteplase treatment of acute pulmonary embolism in the intensive care unit. Crit Care Nurse 2013; 33:17–27. 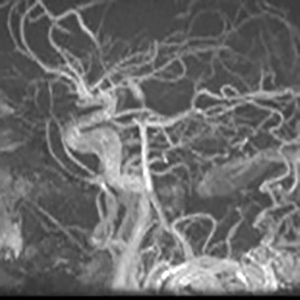 Gandhi D, Chen J, Pearl M, Huang J, Gemmete JJ, Kahturia S. Intracranial dural arteriovenous fistulas: classification, imaging findings, and treatment. AJNR Am J Neuroradiol 2012;33:1007–1013. Söderman M, Pavic L, Edner G, Holmin S, Andersson T. Natural history of dural arteriovenous shunts. Stroke 2008;39:1735–1739. Daniels DJ, Vellimana AK, Zipfel GJ, Lanzino G. Intracranial hemorrhage from dural arteriovenous fistulas: clinical features and outcome. Neurosug Focus 2013;34:E15. Konstantinides S, Tiede N, Geibel A, Olschewski M, Just H, Kasper W. Comparison of alteplase versus heparin for resolution of major pulmonary embolism. Am J Cardiol 1998;82:966–970.